Once you have released your mobile app, and you are happy with its quality, your goal should be to maximize downloads and revenue. How do you do that? All users will be downloading your app from an app store link. So it’s in your interest to make sure that your app icon, description and screen shots do the best job they can, to convey what your app is about. From time to time, revisit your app page to see what it looks like there. Apple and Google are constantly making updates to their stores, so it’s in your interest to make sure that your app is being portrayed in the best possible light. 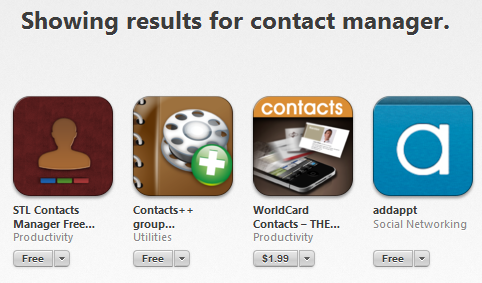 For example, Apple now shows search results of apps with only one screenshot at a time. What screenshot is showing for your app? Does that screen encompass what your app is all about? What copy is being displayed above the “Read more” button? Does it make potential users want to click to find out more? Experiment with different sales copy to see if it makes any difference to your downloads. After experimenting with your sales copy, the next thing you can do is to experiment with pricing strategies. If you lower the price, that should result in more downloads, but less profit from each sale. Figure out what price point generates the most revenue for you. From time to time, you can also put your app on sale to generate publicity. 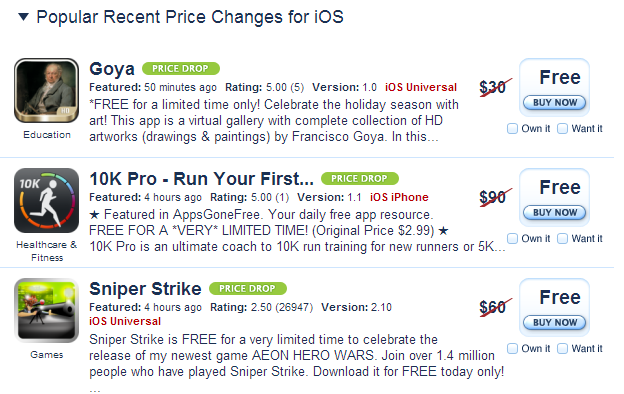 There are many sites out there that track app pricing, and will notify users when apps like yours go on sale. Take advantage of sales bumps you may get from different promotions throughout the year. Another strategy you can try is to just make your app free for some time to generate buzz. This can be great to increase the number of reviews you have, or you can hope that word of mouth sales can help you later on, when your app is not free anymore. You can have the perfect sales copy and even a free price tag, but if nobody is visiting your app store link, then it won’t matter. Depending on the niche, you can try promoting your app on different forums that your target users may visit. Make sure you have submitted your app to relevant review sites as well. Lastly, you can consider paid traffic to see if that helps as well.